The Australian Tattoo Expo is coming to Melbourne! – Spotlight Report "The Best Entertainment Website in Oz"
The Australian Tattoo Expo will return to Melbourne at the award-winning Melbourne Convention and Exhibition Centre from Friday 1st – Sunday 3rd December for a massive weekend of tattoos, art and entertainment. Proudly presented by Australian Tattoo Events, the final event of the year is set to be our biggest event yet with more artists, more entertainment and more giveaways. The 2017 line-up will feature over 300 artists from across Australia, as well as artists traveling from all over the world to take part in the Expo. 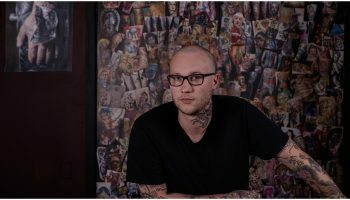 Featured artists include New Zealand’s Ben Kaye from Ship Shape Tattoo, and Spain’s celebrated Deborah Cherrys from La Mujer Barbuda Tattoo Shop. 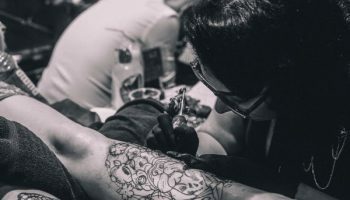 Visitors will have the chance to research the latest trends, treat themselves to a tattoo on the spot and watch the daily tattoo competitions take place, including the fifth and final round of the 2017 Australian Tattoo Series. Artists competing in the Award Series categories have been battling it out for points all year for the chance to score a years’ sponsorship from Eternal Ink, a feature in Inked Magazine and a sweet $10,000 in prize money. The stakes are high and the competition is heating up! The winner will be announced on stage on the last day of the event, and you don’t want to miss out on this historic event! The event will feature a jam-packed entertainment program, with the Fuel Girls bringing their world-famous aerial and pyrotechnics show all the way from the UK. The girls have melted every state thus far, drawing huge crowds with their high-octane performances, so don’t miss your last chance to see the Fuel Girls in action! The Girls of Ink competition will see the lovely ladies of Melbourne compete for the ultimate Girls of Ink title, and fans of vintage fashion are also in luck, as Pin Ups by Stealth once again present the hugely popular Australian Pin Up Pageant. Both competitions will include the Melbourne rounds plus the grand finals, featuring winners from the Sydney and Perth Expos. Tickets are available for purchase online at www.tattooexpo.com.au or at the door.